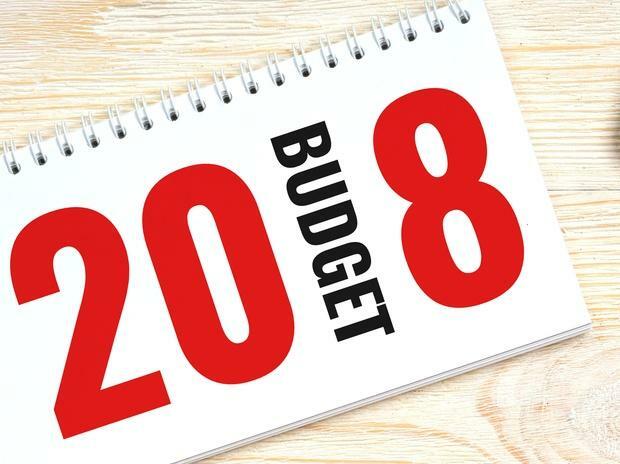 The Union Budget speech at 11am on February 1 could be the final salvo of Narendra Modi government's economic firepower which has been on display the past three and half years. The current NDA government has ushered in several economic reforms, of which, two stand out as the boldest and most contentious. Demonetisation & GST have changed forever the way business is conducted in India. The biggest challenge facing Arun Jaitley and co. is to pole-vault, the economy across upsetting fiscal deficit calculations and somewhere along the way ensuring that the electorate in the politically crucial states of MP, Rajasthan and Karnataka do not swing to the opposition ahead of elections this year. As seen in Gujrat, anti-BJP forces have already managed to sway the political narrative, portraying BJP as a party which has neither been able to create jobs nor bring prosperity to farmers. This is the core audience which the Finance Minister needs to address in this budget. Sectors like infrastructure are woefully behind target because of issues ranging from land acquisition to funding to red-tapism. Any acceleration in this sector will create jobs right from unskilled workers to the skilled labour force and even for IIT and IIM educated managers. This is Narendra Modi's last full Budget as Prime minister before the nation goes to polls next summer. This is his last chance to give the electorate the 'acche din' they were promised 4 years ago. And, this is the last chance for the government to repay the middle class which silently stood in bank queues last year to support their Prime Minister, before they stand in queues again as voters a year from now. More allocation to health sector expected in Budget 2018. Relief from USFDA on Halol plant expected; inspection due in February. Revision in corporate tax in Budget 2018. If happens , will improve earnings generic market is being expanded. Regulatory concerns in US are being resolved. No changes in personal income tax slabs. Salaried tax prayers to get a standard deduction of RS. 40,000 in line of transport allowance and other medical expenses. Rs. 2,000 crores fund for develpoment of agri market. All senior citizens will now be able to claim the benefit of a deduction of Rs. 50,000 for any medical insurance. For critical illness, the deduction has been increased to Rs. 1,00,000. Free power connections to 4 crore homes under Saubhagya Yojana. Eight Crore free gas connections for poor women through UJJWALA YOJANA. Govt. to implement minimum support price for all crops; it is hiked to 1.5 times of production costs. Govt. to contribute 12% of wages of new employees for all sectors. New flagship National Health Protection Scheme, providing a health insurance cover of Rs.5 Lakhs per family per year announced. Railway capesc for 2018-2019 set at Rs. 1.48 Lakhs crores. Disinvestment target for this year set at Rs. 80,000 crores.